We proudly serve greater the greater Middleton MA community including businesses, citizens, local agencies, law and medical offices. 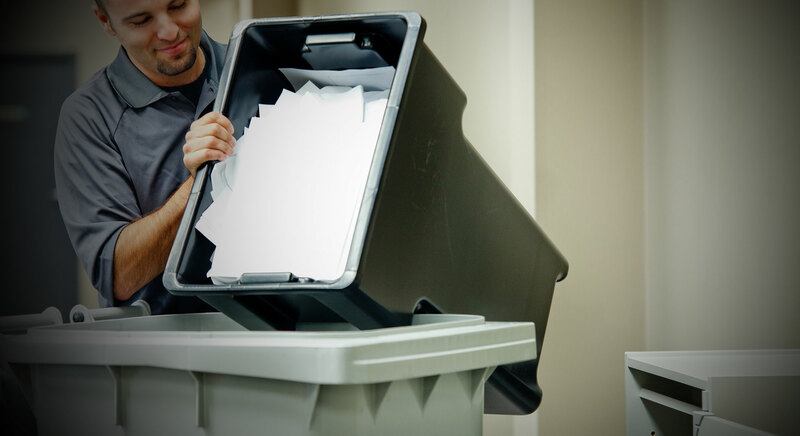 Our shredding services provide relief and freedom from the clutter of heavy loads of old files and statements. We offer the peace of mind that comes with knowing the personal information is no longer floating around with the possibility of falling into the wrong hands. Document shredding with Neighborhood Parcel is a tool in fighting identity theft, fraud, and improper record discourse. State and federal agencies mandate the privacy and security of client and client information in a number of industries. Save your business the cost and headache of expensive personal shredders and call Neighborhood Parcel to haul away your old records and files. We are A+ rated by the Better Business Bureau, a locally owned and operated company and we are available 7 days a week. So take a headache out of shredding and experience the lowest shredding rates in the area! Environmentally friendly shredding service for Middleton, MA. Walk into our drop-off location with papers that you want shredded. One of our trained professionals will weigh your documents for you. Pay 89¢ /Lbs for the shredding and $14.95 flat rate for environmental fees. Once your material is shredded at the end of the day, you will receive our Notarized Certificate Of Destruction. With identity thefts continually rising year after year, data protection has never been so important. Neighborhood Parcel can help you protect your identity and help your business comply with the latest HIPAA rules and requirements. For larger quantities of paper, we recommend you consider our secure and affordable Off-site shredding plan.